So much has happened over the course of the summer and, although it was tempting to keep this blog active and running, I’m afraid that my “real life” experiences interfered with my blogging duties. However, now that the Fall season has begun and my schedule has been finalized, I can now get back to the business of keeping MasterclassLady.Com current and alive! Let’s see now, since last we spoke, so many wonderful people have left us, including superstar Michael Jackson and super politician, Senator Edward Kennedy. And, I must say that both the memorial and the funeral services for these gentlemen were absolutely exquisite – tastefully done. Although both came from entirely different backgrounds, both were justifiably respected and applauded by their fans and followers for their contributions – one to the world of music and the other to the world of politics. Their legacy will remain with us for a lifetime. Interestingly enough, Senator Kennedy was buried on Michael Jackson’s birthday, August 29th, which also happens to be the birthday of my dear father, Henry Giallonardo. My father, who was an extremely intelligent, gentle and caring individual, passed away on July 8th 2000 and I do miss him every single minute of every single day. Additionally, Paula Abdul will no longer act as a judge on American Idol. I’m not sure if I like this scenario, but, I suppose, time will tell. I just hope and pray that this season’s show will fare better than last – I am still shaking my head over the Season 8 fiasco! I am very excited for David Archuleta’s Christmas album, “Christmas From The Heart”, set to drop on October 13th, 2009. I can only imagine how wonderful and inspiring this CD will sound with David’s glorious voice and musical passion at the center of this recording. 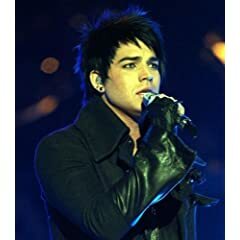 And we cannot forget about Adam Lambert. His new CD should be ready for release soon but details weren’t available on Amazon.Com. His website is rocking though! Have a “look-see“! And, it appears that Jason Castro has released a new song, “Let’s Just Fall In Love Again“. His fans are relentless in making certain that I have a ‘heads-up” whenever talented Jason inches a step forward to his escalating career. “Let’s Just Fall In Love Again” is a great, great number and Jason’s voice sounds terrific. Even though his voice is not as “open” as I know it could be, Jason sings with musicality and expressiveness. And his diction is crystal clear! Finally, there’s Jay Leno who is set to take over Prime Time every weekday with his new show. Finally, something to watch on TV at 10:00 P.M. besides Frasier and Seinfeld re-runs – although I worship these shows everytime I watch them for the zillionth time. As always, I would like to welcome everybody back to the MCL site, as well as express appreciation for those who stopped by every so often during the course of the summer to say “hi” and left comments or news items. You can’t buy this kind of loyalty! Finally – you’re BACK! I have been a lurker on your fine site for quite a while, and I really did miss your updates and thoughts. I’m so much looking forward to Adam’s CD; it will be fantastic, I’m sure. Also, his recorded song for the film 2012 is supposed to be wonderful. I hope we get to hear it before the film opens in November. And how awesome is Jason’s new single? I added it to my playlist and was listening to it in the car a couple of days ago. My daughter didn’t know who it was and she commented that it was a really, really good song. I couldn’t agree more. It is my new favorite “happy song” – work has been rough lately and I really need all the “happy songs” I can get my hands on. Hi Roseanne! Good to hear from you. I have been busy with my little Grandchildren all summer long and managed another trip to the Rock and Roll Hall of Fame. It has been a nice summer! “American Idol” has found its new Paula: Ellen DeGeneres. The Fox series has announced a deal that would make the talk show host/comic the new fourth judge on America’s top-rated show. She would replace Paula Abdul, who quit “Idol” over the summer due to a salary scuffle. DeGeneres has been a major “Idol” fan, featuring contestants from the show on her daytime chatfest on a regular basis. She also came close to guest co-host the show’s “Idol Gives Back” charity special last year, but dropped out due to a scheduling conflict. More recently, however, DeGeneres served as a guest judge on “So You Think You Can Dance,” the sister show to “Idol” that airs in the summer. “Idol” is produced by FremantleMedia North America and 19 Entertainment. I am in a bit of shock that Ellen was selected to be the 4th judge. If she was selected as a Guest Judge, I could handle that. Ellen is a cool comedian; however, there will be more focus on the judges than ever before. This is not a good move for the contestants who have been getting less and less time to sing. Ellen did not do a good job on SYTYCD, and I don’t believe she is qualified without some kind of musical background. I like her, but feel the producers have made a mistake. Cyndi Lauper would have been a better choice. I am really disapointed with the addition of Ellen! She is no more qualified than I am to be a judge, I agree with Kariann, just one more screen stealer, the idols will have less time to sing. I was really hoping that they would have offered the job to Shannia Twain…(spelling???) she would have been a great addition. Thanks for the welcoming comments. Now, re Ellen’s role as a judge, I was first excited to hear this news this morning and then, as I read your comments, fully agree that the focus will be shifted from the singers to the judges. But, once again, FOX has achieved their goal with Ellen’s selection = ratings. However, I really hope that, in doing so, they have not dessicated the heart of the show – the singing talent. letsjive, I am excited about Jason’s new single and he was the reason I went to see Idol 7. I hope he does so well that AI will ask him to come back and sing on the show rather than have some singer who is there just to promote their latest CD. MCL, I think Ellen is actually too big of a star for the show. It is demanding to be on two top rated shows. I wonder how this will affect her personal life? I just don’t see how this is going to work, but Ellen will have to learn not to “chat” when judging. I think the biggest surprise will be that Kara will turn out to be the most professional of the judges. I hope the producers will care more about the contestants for AI than last season. Yes, the show has us talking about it again! I logged on here this morning after I heard about Ellen and was pleasantly surprised to see that MCL posted a new piece yesterday. Thanks so much for mentioning Senator Kennedy. He was a wonderful example of how people can improve their lives with a lot of hard work. My friend always judged him on Chappaquidick but changed her mind about him after hearing all of the wonderful things he did for people behind the scenes. I love Ellen and am looking forward to seeing what she will be able to add to AI. Before we can make any judgements, we’ll have to wait to see how she handles it and fits in to the AI format. Here’s hoping her presence will be a welcome improvement. Welcome back MCL! Just a quick update on Brooke White. She released her debut album this summer and will be touring with Michael Johns! Her album is titled “High Hopes and Heartbreak” and Randy Jackson was the executive producer. A bit of gossip for all interested. Yesterday on twitter, Brooke and Carly hooked up and made plans to go see David Cook’s concert in LA. Before the afternoon was over Ramiele, Syesha, Michael Johns and Jason Castro joined them. From what we could surmise David A. was in Utah and unable to attend. And I don’t know the whereabouts of Kristy Lee or Chikezie. haha! Nice to read your blog again, MCL! Can not wait for David Archuleta’s Christmas CD — a possible tracklist was made public at Walmart’s site and I’m loving the choices. Ave Maria? I’ll Be Home for Christmas? Melodies of Christmas, which may be an original? So excited! I’m not too sure what I think about Ellen as a judge on Idol. I love her comedy, but haven’t agreed with her past commentary on the contestants. We’ll see. Welcome Back! I love Ellen. She is a big star in her own right and I hope her stardom doesn’t overshadow the show. She is a big Idol fan and would help to balance the panel. It should be interesting. Adam Lambert is doing a great job on the tour. He keeps perfecting what he does. I hope his CD is a great success and we get see him rise higher and higher to become the superstar he deserves to be. Can’t wait to get David Archuleta’s Christmas CD. That voice and Christmas songs OMG….it will be amazing. I know what I will be listening to while putting up the Christmas trees at my house this year. So excited!!!! This cd is going to be released in lots of other countries also…they are in for a treat. As far as Ellen being the new judge….well, I guess she will add a bit more comedy to the show even more than last season had. Christmas from the Heart is going to be fantastic. Can’t wait. David Archuleta’s Xmas cd will make this holiday season extra special for many people! His unique voice is perfect for Xmas music. Thanks. Christmas From the Heart by David Archuleta, “the VOICE”, couldn’t ask for a better singer to do justice to Christmas music or anything he sings for that matter! Oh I can’t wait! Here is the track listing posted at Walmart. Can’t wait for the Christmas From The Heart CD by David Archuleta. His angelic voice would be perfect for these songs. MCL so happy to have you back!!! Glad that all is well with you and yours. I am so excited for Davids CD “Christmas From the Heart” isn’t the title appropriate David so sings from his heart. I am also excited because Richard Parkinson is arranging a few of the songs so we know they will be amazing!! Totally agree with gemzone! so excited for David’s Christmas CD and the name is so perfect. love that Richard worked on some of the songs with David. He’s wonderful! Is it Oct.13 yet? David Archuelta’s Christmas album has been the #1 selling Christmas album on Amazon now for a week, Can’t wait to get it, Christmas will be fabulous this year!!! Anyway, there is so much to be excited for in the coming months. I look VERY forward to Archuleta’s new yule tide album, as well as Kris’s and Adam’s albums that are dropping November! Oh, and Carrie Underwood is also going to have a new album out in November as well! It’ll be interesting to see whose album tops the charts in that month! I have listened to Jason’s new song, and I liked it enough to download it. It has a very Jason Mraz-y feel to it, and I definitely think that kind of music is Jason Castro’s cup of tea! I can definitely hear the song on the radio now! As for Ellen . . . the Idol News Heard Round The World . . . I am very excited to see how it all plays out. This could very well be the funniest season of Idol EVER! I really like Ellen DeGeneres, and I am going to give her a chance as a judge. American Idol could’ve done a WHOLE lot worse! I can’t wait for David A CD. It is going to be amazing!!!!!! I just love his voice. I’m going to be buying a few, some as presents of course. Love me some David Archuleta! What could be better than lovely traditional Christmas songs sung by David Archuleta! Nothing but the best when he sings those powerful ballads. I’ll be giving many copies to family and friends this year for gifts. It will be glorious. Kariann1 – I thought there was talk of a Jason appearance last season, but then he signed with his label, and things changed a bit. I hope we see him this season, too. Let’s hope Jason’s label does a good job of promoting him – I want to see him do well. There are two others from Season 8 who are releasing their debut albums this fall as well. I understand Adam is a talented vocalist and performer with passionate fans, but he’s not the only one signed with 19E. Just curious as to why Allison and Kris weren’t even mentioned.